When you have a craving for a cookie, sometimes you just need to have a cookie. 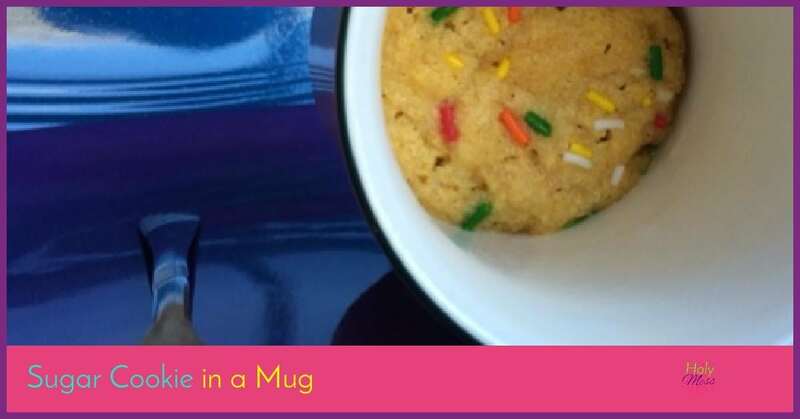 When the craving for a sugar cookie hits, you will absolutely love this sugar cookie in a mug recipe. 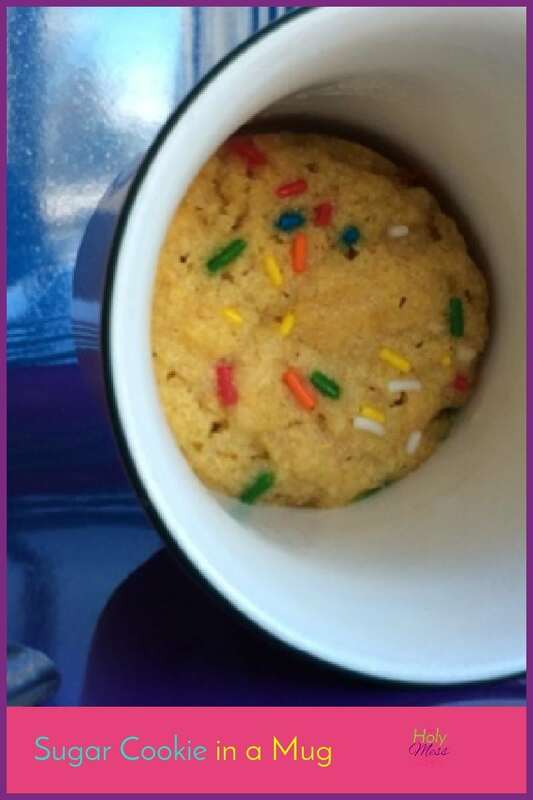 Bake this microwave recipe in a mug in no time and have a delicious sugar cookie with sprinkles. 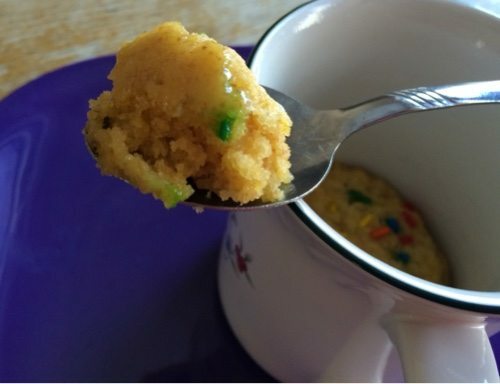 I love microwave recipes in a mug because you can have one serving without making a whole batch (which can be a calorie danger zone, if you are like me and love to eat raw cookie dough). If you love Sugar Cookies and sprinkles, you will really love this Sugar Cookie in a Mug recipe. 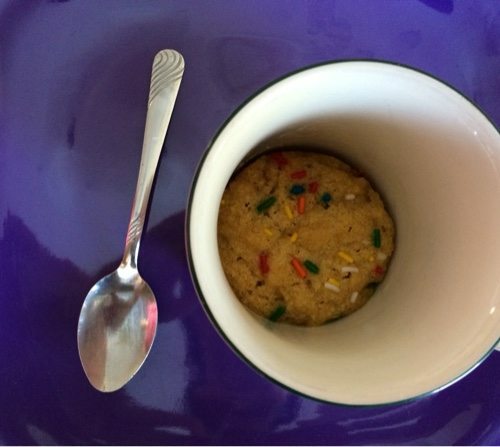 This sugar cookie in a cup is simple to make and doesn’t require too many ingredients. The original recipe I read said that sprinkles were optional, but I think they are absolutely required. 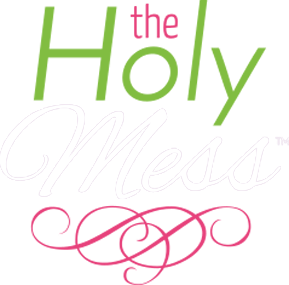 Be sure to spray your mug with cooking spray or wipe the inside with a bit of oil. Microwaves vary in how they cook so start with a shorter amount of time. Don’t overcook! The best part of this recipes is the soft center. 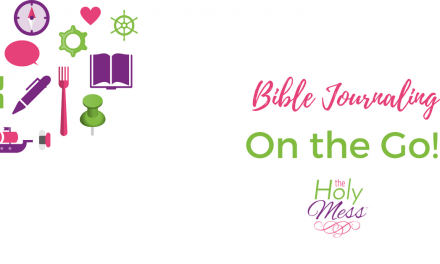 Wondering how to make sugar cookies in the microwave? This recipe will have a one-serving sugar cookie for you in no time. Super-yummy recipe for a dessert for one person. Spray inside of microwave-safe coffee mug with PAM. Place butter in mug and melt in microwave -- about 30 seconds. Add sugar, vanilla, and salt and stir until combined. Add egg yolk and stir until combined. 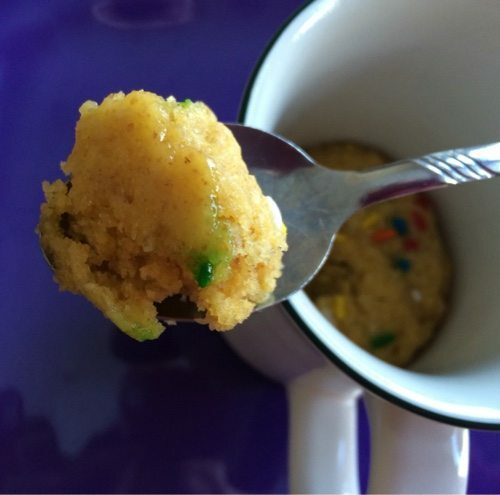 Top with sprinkles and bake in microwave for 40-45 seconds.